Studiare il russo con noi è facile! Having studied Russian at several institutions over the years, both in the United States and in Russia, I can unequivocally state that the language program offered at the Ruslanguage school in Moscow is the best of its kind I have ever run across. As a graduate student, I have very specific reasons for needing to learn a foreign language. In fact, it was the ability the School provided to truly custom-tailor an individual program of instruction which initially convinced me to come to Moscow to study. Of course, any language course is really only as good as are the people doing the teaching. It is in this latter regard that the program at the Ruslanguage school really shines. Both of my instructors proved themselves to be extremely knowledgeable, patient and enthusiastic mentors. Moreover, as full-time faculty members at MGU during the regular school year, they brought with them a scholarly professionalism all too seldom encountered many language programs. On a more personal note, I genuinely felt that both of my professors badly wanted me to succeed in meeting my goals–their support on this human level proved invaluable and was much appreciated. The bottom line is: a flexible course of instruction combined with a first-rate faculty is really what sets this language program apart from all the rest. Dear Dr. Baishev, Thank you for sending the grade reports for our two students. I am very happy to hear that Joan and Allison had a valuable learning experience and that they adapted so comfortably to the program and to Moscow. We look forward to sending more students in the future. Best regards. I would like to strongly recommend the Russian Language Program offered by the Ruslanguage school in Moscow directed by Dr. Artur Baishev. As a professor of Foreign Languages at James Madison University in Virginia, I was interested in exploring the possibilities of establishing ties with a Russian school and also in learning Russian myself. I therefore enrolled as a participant in the study program of the Ruslanguage school.  It must be said that the Ruslanguage school is very flexible in dealing with American Universities and provides a “hands-on”, individualized approach to each student whether it is a question of the procurement of documents, of level of language instruction, the excursions in and around Moscow or the time spent in St. Petersburg. I was extremely fortunate to have been given two different but friendly, efficient and supportive classroom instructors. Even more importantly, Dr. Baishev and Ms. Zaitseva were quite organized and always readily available for any questions and help. They both breathe a youthful and welcome energy into all aspects of the program. They accompanied the students on outings, participated in picnics, helped prepare food and Dr. Baishev’s guitar was present on more than one occasion. As a faculty member who has guided several study-abroad programs, I recognize and appreciate the work, time and talent behind the creation of this one, which doubtlessly had more obstacles to overcome than creating a program in London, Paris or Rome for example. The other American professors who accompany their students are equally helpful and enjoy an excellent working relationship with Dr. Baishev et al. I am personally most interested in returning for a second year of exposure to the Russian Language and Culture. I will again choose the Ruslanguage school rather than look elsewhere. Hi Anna, hi everyone! It was a real pleasure to meet you and enter your program which helped me a lot improving my Russian language. I have to say that I have learnt a lot and am really happy that I chose your school. I warmly recommend you to your future students and I hope that they will be as satisfied as I was during the time I spent with you. You were really great and helpfull! Thank you so much again and I hope that I will get the chance to come back next year. I really sincerely recommend your program to everyone from beginners to high level students. Special thanks to my professor Tamara who is simply the best I have ever had! Kind regards to all the staff. Ich absolvierte für einige Wochen einen Sprachkurs am Ruslanguage. Das Sprach- und Kulturinstitut, das an die Lomonosow Universität angegliedert ist, verfügt über sehr qualifizierte Lehrer. Meine Russischlehrerin, gleichzeitig Dozentin an der Lomonosov Universität und früher an der Universität Genth, Belgien, vermittelte mir innerhalb kurzer Zeit grammatikalische Grundlagen und einen generellen Einblick in die Sprache. Der Unterricht war abwechslungsreich und nie langweilig. Wir haben viel gelacht! Über die Sprache selbst bekam ich einen Einblick in die russische Literatur, Geschichte, Politik und vor allem in die russische Mentalität. Die Atmosphäre am Sprachinstitut ist sehr angenehm. Die Lehrer bringen die Kursteilnehmer miteinander in Verbindung. So wohnte ich mit einer deutschen Studentin in dem Studentenwohnheim der Universität, auch vom Institut gebucht, zusammen. Falls man noch kein Russisch spricht, dann geht auch alles auf Englisch! Für kulturelles Programm ist auch gesorgt. Um die teilweise sehr komplizierte Bürokratie wurde sich von Seiten des Instituts immer sofort gekümmert. Außerdem besteht die Möglichkeit, sich vom Flughafen abholen und auch wieder hinbringen zu lassen. Insgesamt war die Zeit in Moskau faszinierend. Natürlich ist es am Anfang nicht leicht. Besonders wenn man die Sprache – wie in meinem Fall – überhaupt nicht spricht. Eine andere Welt! Durch die netten Leute, mit denen ich täglich am Ruslanguage Kontakt hatte, fülte ich mich nach kurzer Zeit sehr wohl! This is Vincent Merrone. I was a former student of your school about a year ago. I wrote an e-mail a few months ago with praise for your teachers. I would like to state that I have just passed a graduate level exam in Russian proficiency. Why is this important for you to know? Well, my primary education came from your school (I am enrolled in advanced courses now at my university. I never had formal training in Russian (at the university level) till last year. So, the foundations that were developed at your school allowed me to continue my Russian level education to such a level that I am able to pass a proficiency exam at the graduate level and possibly go on to the PhD level. I am grateful to your school and your various teachers (and staff) especially Julia. I am glad to give by best recommendations to the Ruslanguage school being its student. First of all let me introduce myself. My name is Hans Tardell and I am a newcomer to Russia since a few months back and acting as Managing Director for two commercial units registered in the Russian Federation and owned by a Swedish parent company. With rather limited spare time but still with the willingness to learn the Russian language I find it difficult to attend a traditionally scheduled class. After some research I found the Ruslanguage School, as the answer to my wish to have a high class language training. Still I could have all the flexibility needed with scheduling classes to suit my agenda and to keep up the training. My experience is that the personnel is dedicated and highly skilled to handle all levels of language training. They are able to give a personalized training far above the average which is what a person in my position needs to be able to develop the knowledge of the Russian language. Aside from being run by a very friendly, supportive and competent staff-fully the school can be rightfully proud of its teachers. Of course I am very grateful for this opportunity to say that the Ruslanguage school, is, to the best of my knowledge, one of the most effective school for the learning of Russian language. The University of Texas at San Antonio Russian Program recently completed its third annual Study Abroad session at the Ruslanguage school in Moscow. Right from the very beginning, our group was very impressed with the professional approach of Dr. Arthur Baishev and his staff. We were met at the airport, transported to our dorm, and assigned to rooms in the main building smoothly and efficiently. As in previous years, students were assigned to single rooms in blocks of two rooms, with shared bathroom facilities. The rooms were small but adequate and the students had no major complaints about them. Students liked the fact that all services, including laundry facilities, were in the same building. The instruction took place in the nearby Humanities building, where our students attended classes from 9 to 12 every weekday. Each group had two instructors, who taught on alternating days. The instruction consisted of conversation practice, vocabulary development, grammar, and phonetics. Students were taught by highly qualified and experienced professionals from various departments of Moscow State University. The instruction was coordinated and overseen by Dr. Baishev, who made sure that our wishes and suggestions were followed. The Ruslanguage School organized several excursions to some of the most popular tourist sights in Moscow and the surroundings. Among the ones repeating from the previous years were Kolomenskoe Outdoor Museum, The Kremlin Churches and Museums, as well as Novodevichy Monastery and Cemetery. New additions this year were Vasnetsov’s Museum, Borodino Panorama Museum, Church of Christ the Saviour, and the Russian Parliament, with a special reception with Vladimir Zhirinovsky. The meeting in the Russian Parliament was especially memorable for the students, and Zhirinovsky’s controversial comments made a permanent impression on them. The students felt honored that they could meet such a high-ranking Russian official in person. In addition to excursions in Moscow, the Ruslanguage school organized a full-day excursion to the surrounding areas of Moscow. This year our group visitedAbramtsevo Outdoor Museum, followed by a picnic in the woods. Our program also included five full days in St. Petersburg. We were housed in the guest quarters of the University of Economics, which was conveniently located in the heart of downtown. The rooms were large double rooms with bathrooms in the corridor. The city excursions in the program were City Tour, including the Peter & Paul Fortress, St. Isaac’s Cathedral, The Russian Museum, and The Hermitage. We also took a full-day trip to Peterhof by hydrofoil. In addition tourist sights, our group attended a folk dance performance, which was extremely popular with the students. Overall, the Ruslanguage school works with the highest level of professionalism and effectiveness. Students are immersed not only in the Russian language but also Russian culture by an enthusiastic group of teachers, who go out of their way to make the experience memorable and well worth the price. The director of the School, Dr. Baishev, is a professional with excellent business skills and, in addition, a pleasant person to work with. UTSA’s experience with the Ruslanguage school has been very positive, and we plan to continue our cooperation every year. The program is very reasonably priced, which makes it accessible to students with limited finances. In fact, many of our students liked the Moscow program so much that they returned for a second trip this year. Dear all at the Ruslanguage school, I would like to thank you all for the nice experience and the course. I kindly ask you to say good bay and also my thanks to my teacher because I am very sorry that I couldn’t go to the last lesson to meet her. Again thank you. I wish you and all Ruslanguage staff a nice day and good work. I have already been back in Australia for two months.. time has flown! I wanted to write earlier, but only managed to do so now. Can you pass on this letter to all the teachers there (Artur, Dimitry, Viktor, Elena) as I don’t have all their addresses. And I apologize that this letter is not in Russian – I can type in Russian but it takes about 1 hour per paragraph. Well, firstly, let me say that I MISS MOSCOW VERY MUCH, both the place and the people. I had a fantastic time there.. This is partly due to the efforts of everyone there at the Ruslanguage school, who all were very welcoming and friendly. I’m already thinking about when I can come back, of course – but unfortunately it looks like that will not be soon enough – probably not this year. In the meantime, every day I think about some aspect of my time in Moscow. Finally, of course, I hope everyone there has a Very Merry Christmas and a Happy New Year! I hope everyone is well there. Even if it’s a little late, I would like to thank all of you (Dmitry, Artur, you of course and all the others)in Moskva for the fantastic stay I had there. I will probably come back next October for a short month, because I’ll have to do some research, and it will be nice seeing you again. Otherwise I improved my russian a lot at the MGU last summer, and my studies are going well. I just wanted to thank you for a wonderful three weeks. Our teachers, Dimitri, Irina Petrovna and Vladimir were all excellent, and I had an absolutely great combination of work and fun. ‘Till the next time! Best. Dear Natasha, I hope that your holiday was very fun. I was sad that I was not able to say “good-bye” to you and Dmitri, but I will hopefully see you all soon… I am writing my address and phone number at the bottom of this email. I told Artur before I left that if anyone in the United States writes to you with questions they can call me if they want to. I will help them to understand the wonderful program you have. Finally, I just want to say again that I appreciate everything you, Artur, Dmitri, and all of my other instructors did for me. And until I figure out how to write Russian, please tell Victor as well that I miss his family and am looking forward to returning. I just wanted to thank you all for making my visit and learning experience in Moscow so enjoyable. I would be happy to speak to future students about the program if there is ever a need. Thank you for your swiftness in all services. As an institution, you are an exception to the rule in this respect. I would like to thank your school for the wonderful experience my daughter, Shannon Smith, enjoyed in your language program this summer from July 6 to August 16. She has told me that she has learned so much and that her teachers were excellent. She feels much better prepared for her graduate studies which she will begin this fall. Shannon also met many new friends from all over the world. Thank you, again. Thank you very much for organizing the course so effectively and answering all the difficult questions. I much appreciate the lessons given by Dimitry and Victor, they are excellent teachers. All the very best!